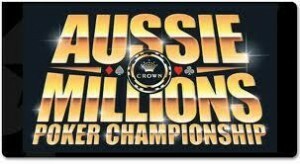 After four full days of play the 2012 Aussie Millions Main Event is now down to just 12 participants, with one very, very, big name still in the hunt. Phil Ivey’s dominant run came to a screeching halt on Day 4 of the Aussie Millions, but the poker superstar did manage to squeak into Day 5 where he will enter the day as the short-stack with 699,000 chips. Don’t count Ivey out just yet, his nearly 700k in chips gives him a stack of about 35 Big Blinds, more than enough ammunition to make a run to the final table and possibly to an Aussie Millions Championship. The players will likely be in store for a short say on Saturday, as the tournament is scheduled to play down to the official final table of seven players before calling it a day. Another big name still in the mix is Lee Nelson, the 2007 Aussie Millions Main Event Champions who is looking to become the first player to win the title twice. Nelson will enter Day 5 right in the middle of the pack with 1,651,000 chips, which puts him in 6th place on the leader-board. Nelson is an Aussie poker legend, who will bring his career tournament earnings to at least $2.5 million according to thehendonmob.com thanks to his current run in the Main Event, and is the co-author of the wildly popular Kill Phil and Kill Everyone tournament poker books. Nelson was part of the inaugural Australian Poker Hall of Fame Class of 2009. Leading the way into Day 5 is Yann Dion, a Canadian online poker pro looking to make a name for himself in the live tournament arena. Dion has already bested his previous best cash of $50,838 came in the 2010 PaddyPower Irish Poker Open where he finished in 9th place. A couple of other players to keep an eye on Saturday are Oliver Speidel and Daniel Idema, both of whom are very tough players looking for a breakthrough win. Saturday will also see the $250k buy-in Tournament get underway at the Aussie Millions, so even if Phil Ivey is eliminated early on he may opt to use the $100k in winnings to PARTIALLY pay for his buy-in in that tournament! This entry was posted on Friday, January 27th, 2012 at 6:36 pm and is filed under Poker News. You can follow any responses to this entry through the RSS 2.0 feed. You can leave a response, or trackback from your own site.